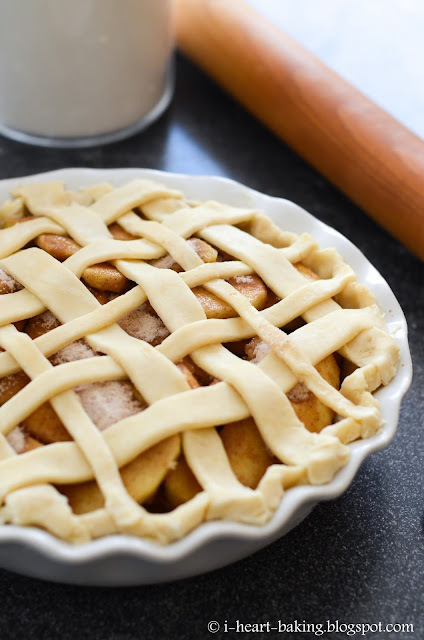 If you know me, you'll know that one of my favorite things to make is apple pie. I've made it for Christmas and Thanksgiving, I've made mini ones and Hello Kitty ones. 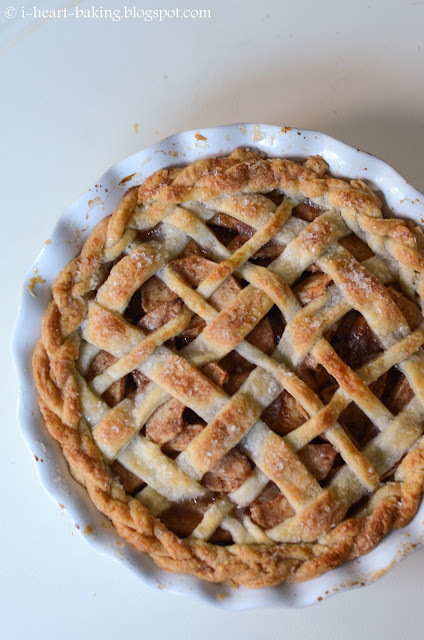 And lately I've been inspired by the gorgeous pies by The Kitchen McCabe, especially the latticed ones, so I decided to try making a lattice pie myself! I started by making my favorite all-butter pie crust (recipe in my book, The Hello Kitty Baking Book!). 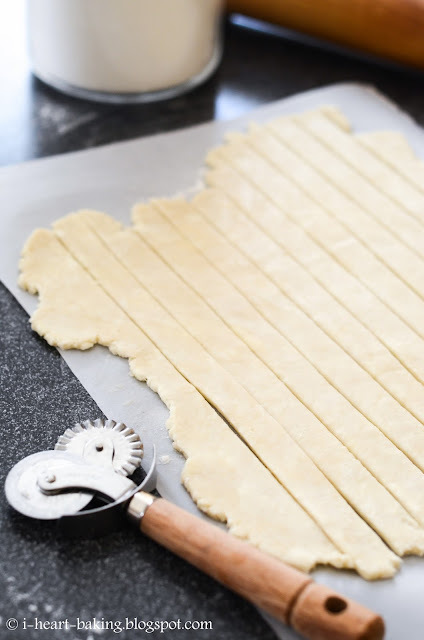 One recipe makes a bottom and a top crust, so after rolling out my bottom crust and pressing it in my pie pan, I rolled out the top crust and then used a pastry wheel to cut out strips for my lattice. After adding my fresh apple filling (recipe also in my book! ), I used the strips to form my lattice shape. Two things I learned from this: a) this takes a lot of patience, and b) the strips need to be chilled first! But I was so eager to make my lattice that I was impatient (back to point a) and didn't want to wait for the dough to chill! 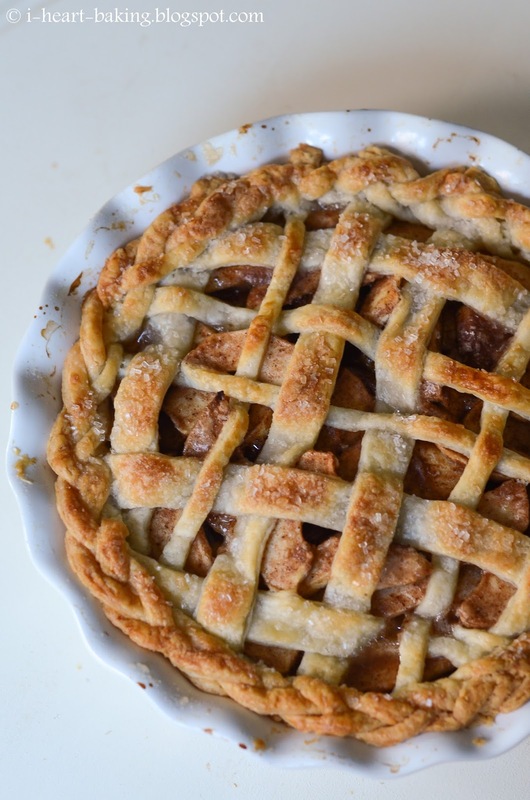 Lesson learned, because my lattice came out very wobbly looking and not so neat. But, I continued on anyway. 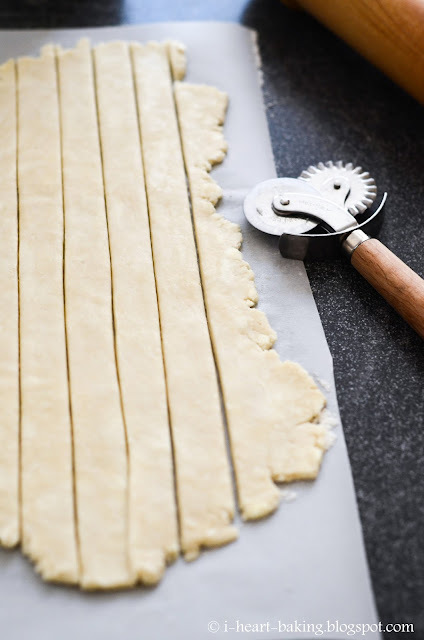 With the last bit of the strips, I braided them as evenly as I could, and placed the braid around the edge of my pie, making sure to press down firmly to seal it to the crust below. Then I brushed it with egg wash, sprinkled on some sanding sugar, and baked it until golden brown (350F for 45-50 minutes). Even though my lattice came out so wonky, I still thought it looked rather pretty. I learned my lesson though (must chill dough first!) and can't wait to try it out again! 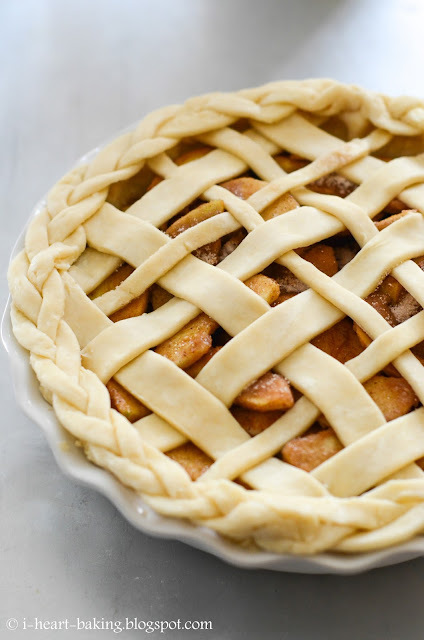 Oh my Gosh you are an amazing baker, just love your creations all of them, applew pies are my absolute favourite, especially if they look like this, keep it up!